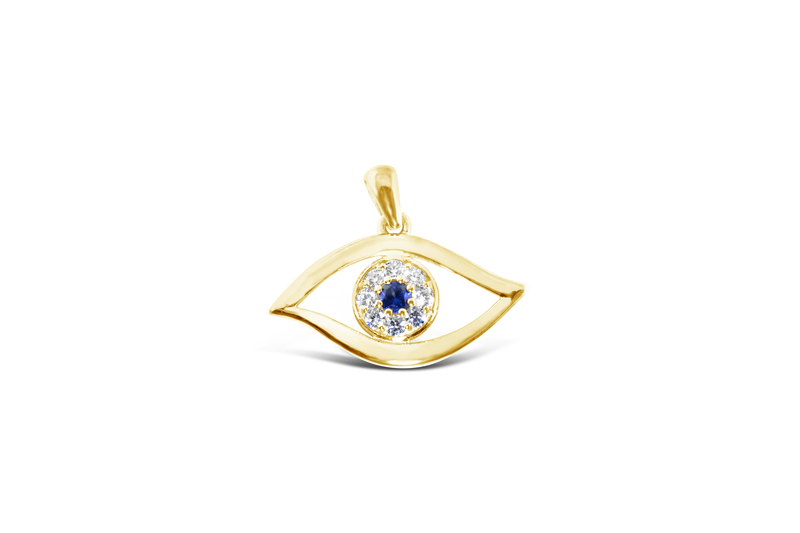 “Evil Eye” 14kt yellow gold pendant, or bracelet charm, with one round high quality sapphire, .12 carats, and 8 round diamonds, total weight .23 carats. Price does not include the chain. Also available in platinum, white and pink gold. Please call for price in platinum.